The latest in skeleton modification comes in the form of the elemental skeletons mod. It equips skeletons with swords and unleashes a few new skeletons to battle in those crazy evening hours on Minecraft. Very few things are as rough as a night time excursion in Minecraft. When the sun sets, expect the most damaging, ruthless, and blood-curdling skeletons to come from nowhere to unleash havoc on your gameplaying. Fortunately, there is always a way to make it all worthwhile. 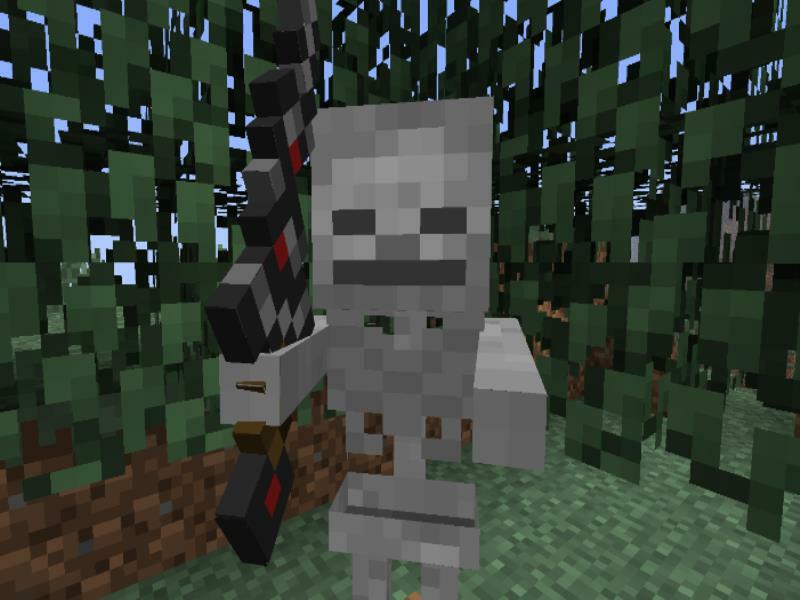 The elemental skeletons mod for Minecraft accomplishes one singular task- it equips skeletons with swords as opposed to their often-equipped bows. So now they lack the long range capabilities, but they deal far more damage. The most troubling obstacle of this mod is clearly from the fire skeleton, whose touch ignites you in flames and will enchant the wither potion effect on you for four seconds. This troubling diva is a true nuisance, and with a sword, he is a merciless killing machine. So why go through all the trouble of equipping skeletons with swords? Well firstly, any good Minecraft player wants a challenge. but with the success completion of a challenge comes a payoff, and any defeated skeleton drops their materials. This includes, obviously, the very sword they used to try to defeat you. take the sword and materials, and craft any number of new tools, weapons, or armor from their defeat. it is a challenge that procures an immediate victory. As the sun rises, you have plenty of time to furnace your new attainments. The mod also includes a few new skeletons and their respective effects, including the water skeleton, the invisible skeleton, and the absolutely relentless crazy skeleton who deals 7 attributes for 7 seconds per hit.